There are only a few weeks left in 2015. We hope it’s been a great year full of wonderful moments, good decisions, and improved health. We know that for a lot of people, 2015 has been a tough year and 2016 cannot come soon enough. Life is both busy and stressful, and often at the same time. But now it’s time for the holidays — family coming to town, presents to buy, colder weather, and holiday traffic. Woohoo! Just what you needed, right? We can’t get you around holiday traffic, but we can help you stay well this winter, which is when a lot of people get sick. The added stress of the holidays, the extra sugar and indulgence, and the change in weather add up to a recipe for sickness. On top of that, we’re all spending more time indoors in a closed environment because of the colder weather, which means your immune system is working overtime defending against more bacteria and germs. This leads to familiar symptoms like a runny nose, fever, coughing, congestion, aches and pains . . . a.k.a. THE FLU! Improved Immune Function – Chiropractic adjustments help improve the function of your nervous system, thus initiating the immune response and directly affecting your body’s ability to adapt to stresses and fight off sickness. A better functioning nervous system through chiropractic care improves the lymph, circulatory, excretory, digestive, and immune systems. 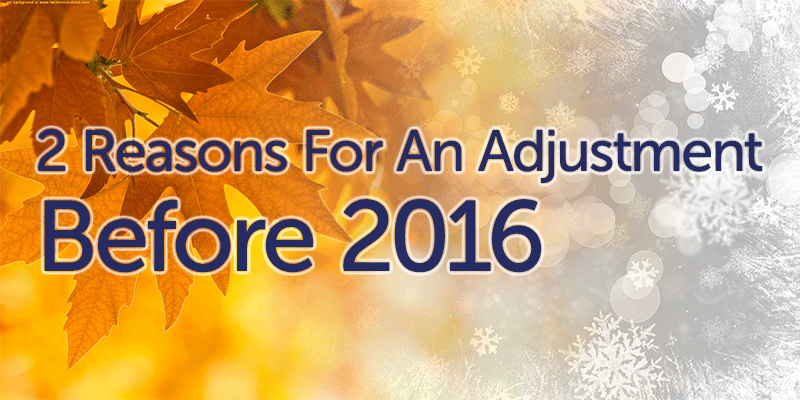 New Year, New Deductible – Most insurance deductibles will start over on January 1, 2016. To some, this may be the more important reason to schedule a visit with the chiropractor. We know you’re busy, but with only a few weeks left in 2015, you owe it to yourself to make your health a priority and start your 2016 off the right way. Call (615) 751-0958 to schedule your visit today!